Oklahoma Connection | Barrett came to Oklahoma City, Oklahoma, in July of 1893 as managing editor of the Press-Gazette. Adjutant General Charles Barrett was the commandant of 109 Oklahoma National Guard members who were called into Tulsa to restore peace on June 1, 1921, during race riots in that city. Advancing years kept Major General Charles F. Barrett at home when his beloved 45th Division was called to active duty for World War II, but the grand old man of the Oklahoma National Guard went along in spirit. Indeed, the military had been his life for half a century. Born in Ohio and raised in Kansas, Barrett first came to Oklahoma City in July of 1893 as managing editor of the Press-Gazette. He later founded the Earlsboro Border Signal, which he moved to Shawnee and sold. In 1910, he managed Shawnee’s futile bid to become the site of the Oklahoma State Capitol. In 1896, Barrett organized Company F of the National Guard and, in 1898, served as a captain in the Spanish-American War. In 1918, he was appointed adjutant general to reorganize the guard after World War I. 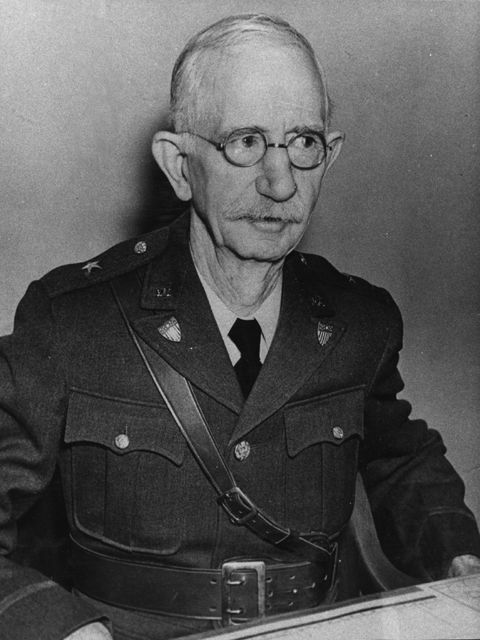 In 1937, Oklahoma’s state legislature passed a special act conferring the rank of major general to Barrett.